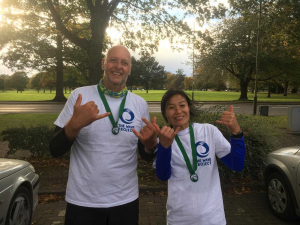 Massive thanks to Steve and Anita who took on the Ochil Ultra on September the 29th to raise funds for Wave Project Scotland. This is a huge 30 mile hill run from Glen Devon to Perth and they smashed it! They raised £500 which will be used to continue to deliver surf therapy in our beautiful Belhaven Bay. Congratulations on your awesome achievement guys!